You don’t want to waste your time and money for proxies anymore? \r\nWe\'ve got the right solution for you, Proxy Buddy! 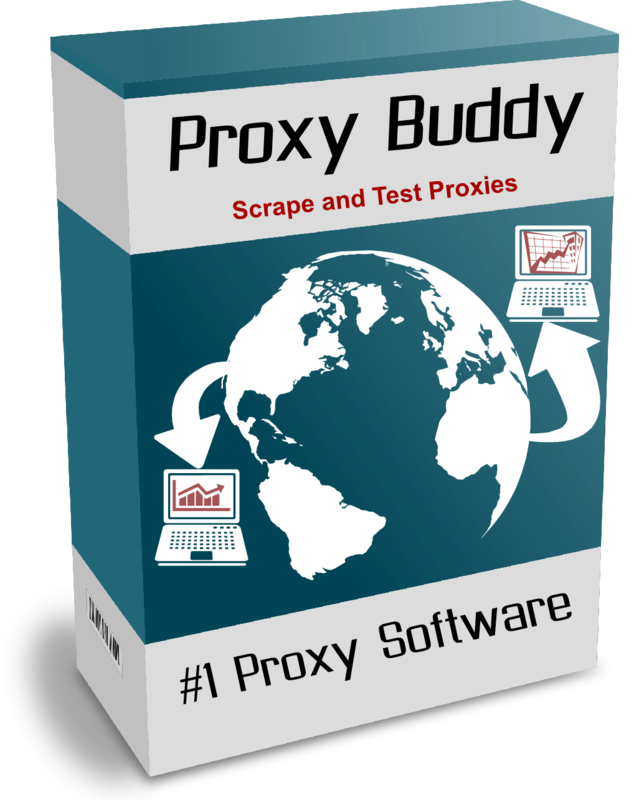 Proxy Buddy is the most powerful multi-threaded software for finding, testing and getting more information about your proxies. Do not waste your time anymore, Proxy Buddy can do everything on autopilot. \r\nThe Pro edition is able to handle hundreds or even thousand simultaneous threads and has over 30 inbuilt proxy source to instantly scrape over 200.000 proxy servers, enough for the biggest business. \r\nProxy Buddy comes with a built in list of proxy source*, they are updated daily. That’s the reason why Proxy Buddy always finds new proxies each and every day. You also can easily add your custom proxy source to even get more proxies. \r\nManage your source list just with the context menu. \r\nProxy Buddy is the world fastest proxy tester on the market and will test even more than 10.000 proxies every minute*. Proxy Buddy determines google pass, country, speed, anonymity, SSL support and stop forum spam listing. \r\nSo easy to use. Manage your proxy list just with the context menu. \r\nProxy Buddy provides advantage scheduling (task-management) features to automate nearly anything. You just need to set up your tasks one time, Proxy Buddy will handle all other things. \r\nYou can schedule anything, Proxy Buddy will scrape, test, scrub your list and export proxies automatically. \r\nProxy Buddy can send your proxies by mail to one or multiple emai-addresses or upload them to your FTP server. \r\nProxy Buddy can automatically scrub your proxy list and only keep the good ones inside to save you even more time. Just set up a task to filter your list like you prefer. \r\nSetup the filter once and let Proxy Buddy scrub your proxy list on autopilot! \r\nYou can export your proxy list to .txt or .csv manually or automatically (e.g. for auto-importing to other seo software) . \r\nExporting your proxies is so easy with Proxy Buddy!